1. Blood Red Glider (Cymothoe sangris) hind wing. Republic of Central Africa. 2. Herminia Glider (Cymothoe herminia) hind wing. Republic of Central Africa. 3. Leaf-wing Butterfly (Charaxes eupale) hind wing. Republic of Central Africa. This real butterfly wing was carefully crafted using a 12-15 step process, which varies depending on the scales of the butterfly wing. Yes, butterfly wings have scales. This is the “powder” covering each wing. All butterfly wings are truly clear. It’s their scales that give them striking colors. These scales also work to repel moisture, and protect the wings. Some are like fine powder; some are like long hairs; and some are barely able to be seen by the naked eye. These scale variations dictate the steps necessary to preserve each wing, along with vein structure, thickness, and other differences. Just as the same clothes won’t work on every body-type; the same process doesn’t work on every wing type. Each piece is uniquely similar, just like all of us. 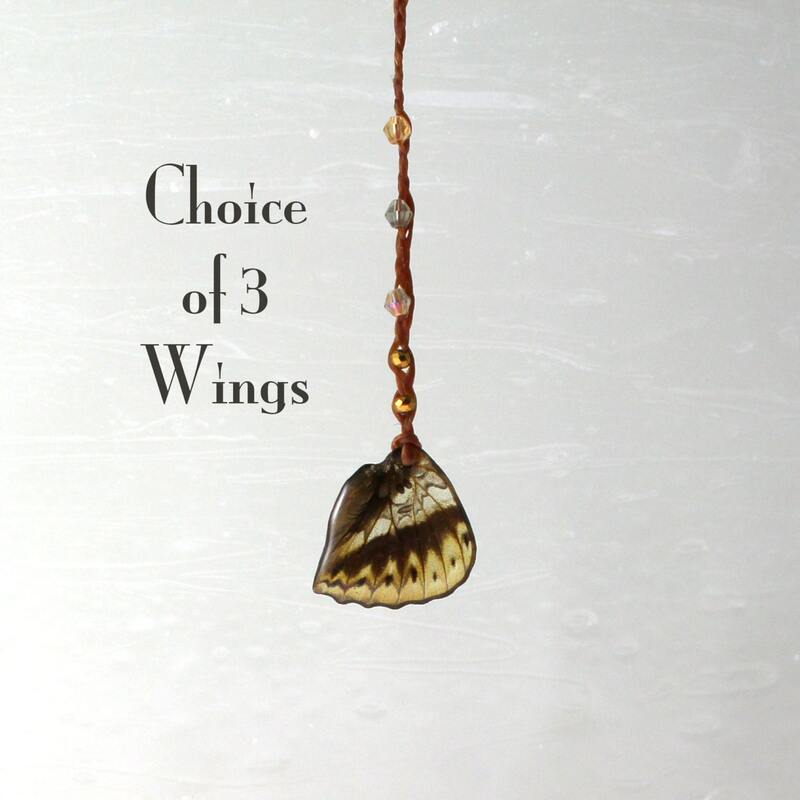 The top 4 coats on every wing is a two-part jeweler’s grade resin. This renders them waterproof, prismatic in full sun (or under a full-spectrum light bulb), non-toxic, lightweight, and surprisingly durable. The formulas, tools, and methods used over the two weeks it takes to make each wing are customized to suit this unique process. 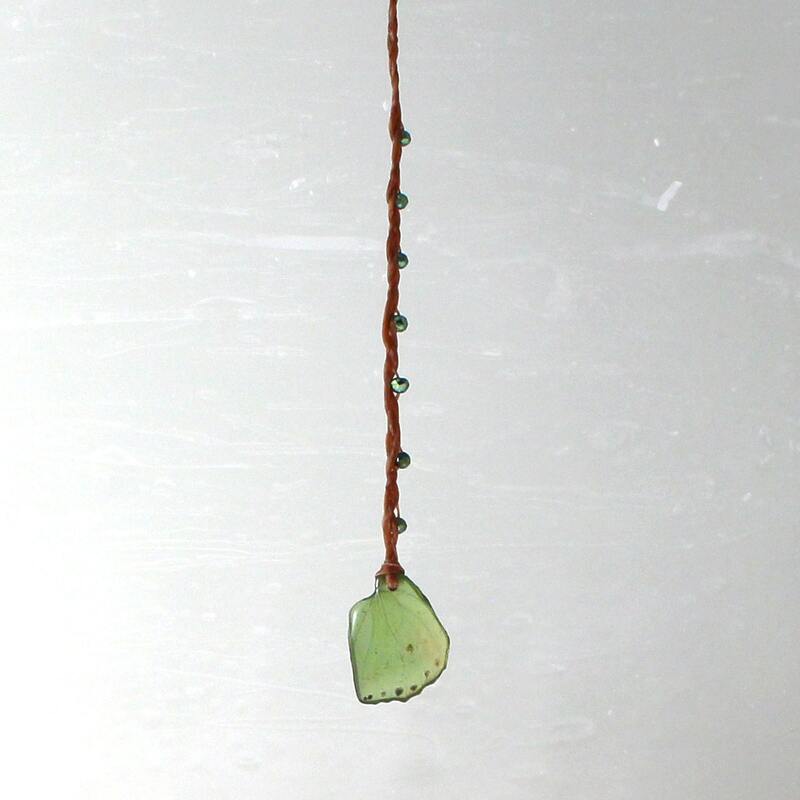 Isms is dedicated to preserving nature through sustainable art; preserving butterfly populations; preserving butterfly habitats; and preserving real life relationships of integrity. 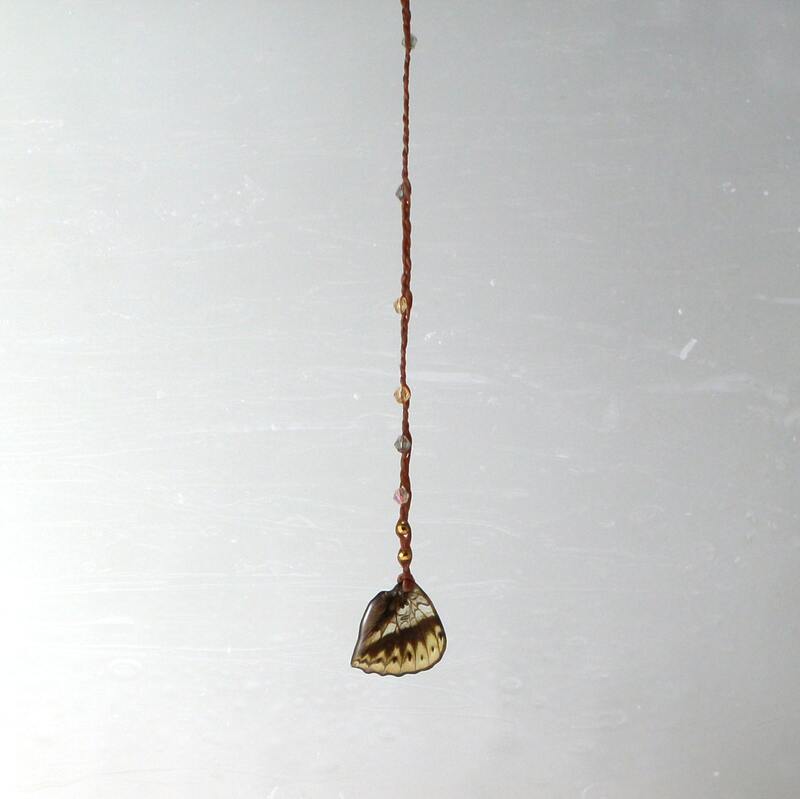 We are an artisan family, and our studio is attached to our home in Nisswa, MN. 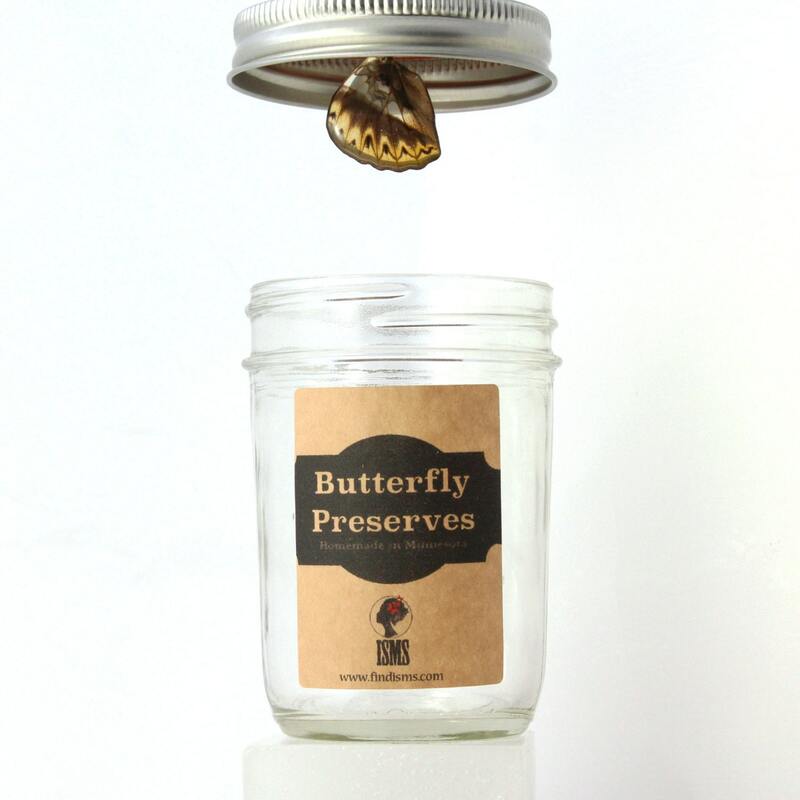 All of our butterfly preserves are truly homemade! Invertebrates on our planet have declined approximately 40% in the last 40 years. Monarch butterflies have plummeted in numbers so drastically that they are currently being petitioned for protected status under the endangered species act. There are 9 endangered species of butterfly in North America currently. Butterflies are long distance pollinators. We need honey bees to pollinate plants in their 5 mile radius, AND we need butterflies to carry genetic diversity (up to 50 miles in a day). I don't know about you, but I like to eat. Blood Red Glider, hind wing. Cymothoe sangaris – Republic of Central Africa. Deep red with brown tones on the body side of the wing, and dark veins. This species is distributed in the Afrotropical zone throughout forests. The adults spend most of their time on the canopy, but also seek out sunlit spots on the forest floor to feed on decaying vegetation. Some believe this species should be split into separate species based on morphological characteristics (mainly in females) and DNA research, with the new species specialized to one food plant. This new species are slightly more orange, and the larva feed exclusively on Rinorea plant species. Herminia Glider, hind wing. Cymothoe herminia – Republic of Central Africa. Amber tones with brown. An exceptionally prismatic wing. Expect variations in patterning, and shading, as these are very individualistic butterflies. It is found through vast regions of Africa in lowland and submontane forests. The adults are particularly fond of feeding on fermented fruit. Leaf-wing Butterfly, hind wing. Charaxes eupale – Republic of Central Africa. Green with tiny black spots near the scalloped wing edge. Known for their rapid and powerful flight, and stout bodies. 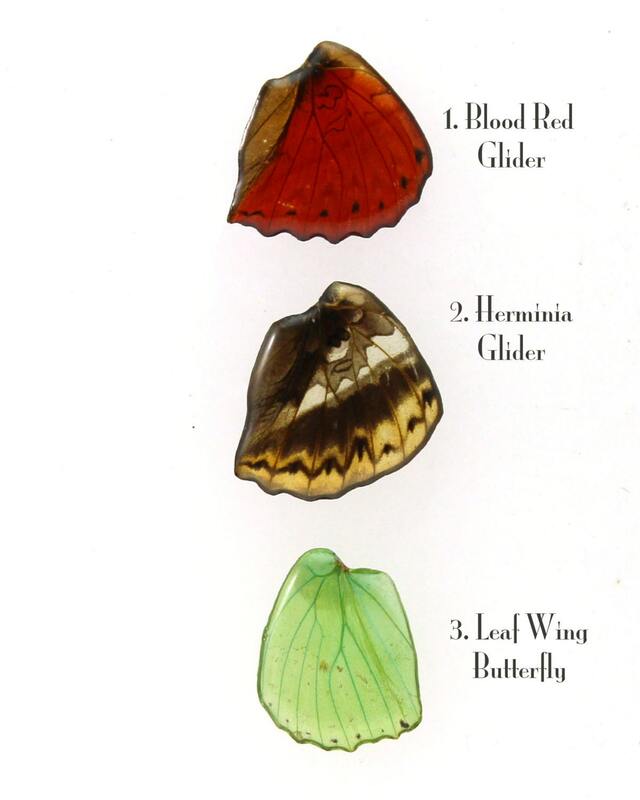 The green coloration of their wings, antennae, and proboscis are from pigments, unlike most other green butterflies whose colors are produced structurally by light refracting from microscopic ridges on the surface of the scales, or from a lattice within them. They are found most often singularly in lowlands of Afrotropical rainforest regions ranging from Sengal to Tanzania. Although they may be seen in groups of up to 30 feasting on monkey dung, as their main food sources are minerals from mud, carrion and feces. Both sexes spend most of their life in the forest canopy, but males are regularly encountered at ground level. The butterflies have a serrated leading edge to the fore wing, which are used to jostle and “elbow” other butterflies while feeding at carrion or dung. The serration also acts to strengthen the wing, which in combination with their powerful thoracic muscle allow this butterfly to fly with great speed and agility.